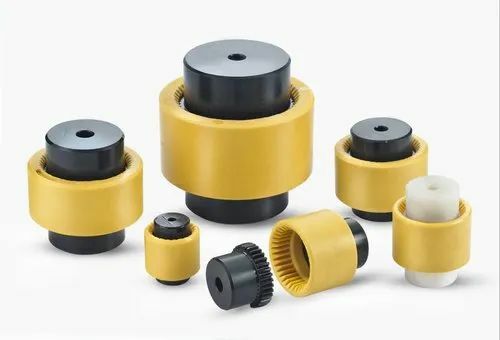 HYDAX Flexible Drive Coupling consists of two gear hubs engaging in a sleeve of high grade plastic material. The gears have crowned-tooth form which permit axial and angular misalignment. They are maintenance free, require no lubrication and do not emit transmission noise. Have superior strength and a wide operating temperature range. Available in 6 sizes to suit 1HP to 75HP. products that would be indigenously designed, technologically superior and commercially viable. It must be pointed out that we were pioneers in the area of manufacturing hydraulic accessories in India. HYDAX have recently acquired the technology to manufacture Electrochemical Deburring Machines, Coolant Filtration systems and component Washing Machines. We are also working on building indigenous robots for the rapidly growing automation sector. upgrading our products keeping pace with the rapidly advancing Fluid Power industry and automation sector. atmosphere, has been the driving ethos through the last 40 years.